hey there, I dunno haha just been laying low, floating here and there. how are you going? 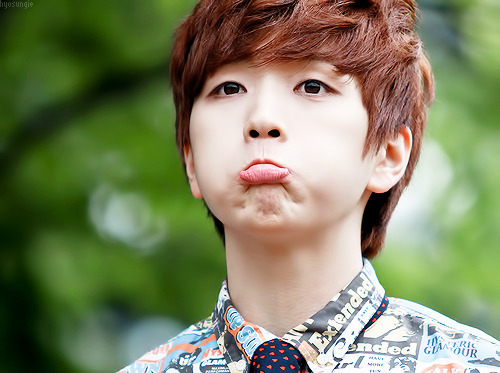 Are you gonna see b1a4 when they go to Australia? 1 others thanked this comment. thank Showing 5 of 13 Replies. I think its like a 5 hour flight.... plus a 2 hour drive to Perth from home haha you should come!? omg it would only take me not quite 4 hours to get from here to Sydney, you're going to travel that much to see them? I wish ;A; are you going with friends? how is ur botox doing? 1 others thanked this comment. thank Showing 5 of 14 Replies. PLZ BE A SUNGGYU PHOTOCARD. hmmmm... I hope the coin isn't fully plastic. Can barely tell with the photos. are there different types of coin or just one? no!!! Do u use twitter? 1 others thanked this comment. thank Showing 5 of 9 Replies.